Following the discovery of the X-Ray camera, The Prankster visited Leigh Delamere to see for himself. He visited twice, once to check the camera, then a second time to get pictures of signage. No doubt he is at risk of getting a ticket for overstaying due to CP Plus's defective technology, but luckily he has plenty of witnesses he visited twice, plus pictures of his vehicle elsewhere. 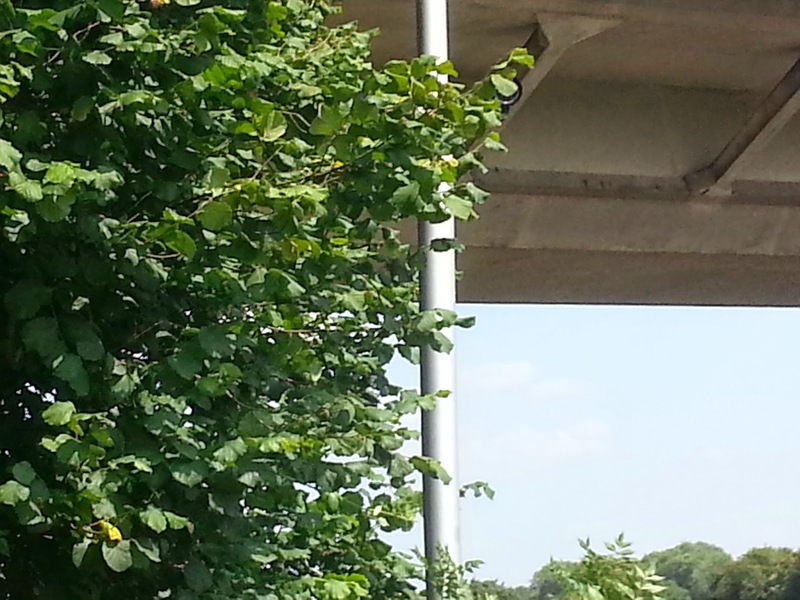 The exit camera on the eastbound side is indeed obscured by a tree. The branch moves in the wind, so sometimes the camera is not obscured; at other times it is. The terms and conditions do not appear to be in line with current regulations. The Prankster is reluctant to revisit in case he gets wheelclamped and is forced to pay a £90 release fee. The signage does not appear to correspond to the signage map produced by CP Plus for POPLA hearings. Notice the over-sized blobs, designed to give the impression that signage is plentiful. Several blobs are in the middle of the bays, giving the impression that the signage is placed in positions where it will be easily visible. Here is The Prankster version. Signage is shown 6 times actual size, otherwise it would be hard to spot on the map (just like it is in real life). The two purple lines represent entrance signage.One is sited behind a tree and hard to spot. These are 1 and 3 on the CP Plus map. 1 is not sited correctly on the CP Plus map. The red lines are the terms and conditions (4 on the CP Plus map). None are in the middle of the bays as shown on the CP Plus map. The green lines are pay by phone instructions (5) and the orange reminder signs (6). All signage is facing 90 degrees from the direction of travel, apart from the entrance signs hidden behind trees and the sign at the entrance to the building. many signs are on very high poles and difficult to read. Drivers just using the car park to sleep will therefore never spot the signage even exists. Other drivers have one chance to spot the entrance sign at they enter the building. Spot the one visible sign facing the driver. Several areas have no signage at all, which violates BPA Ltd guidelines which state signage should be visible from all parking bay. The entrance signage is not compliant with the required format. It contains far too much information to be read at speed, and the font size, apart from the information that there is 2 hours free parking, is too small. It also contains information not repeated elsewhere. Google Streetview visited the site in 2010, showing the signage to be essentially unchanged between 2010 and the present day. The Prankster does not know why CP Plus deliberately deceived POPLA regarding the signage. However, it is a general rule for the disreputable elements of the parking industry that lying is acceptable behavior if it get the result you want. The map they submitted to POPLA was in this case sufficient to deceive the assessor, Nozir Uddin, who stated 'I am satisfied that the terms and conditions of parking would have been visible to the Appellant from the signage on site' and rejected the appeal. CP Plus will therefore no doubt be pleased with Ranger Services who submitted the appeal on their behalf. 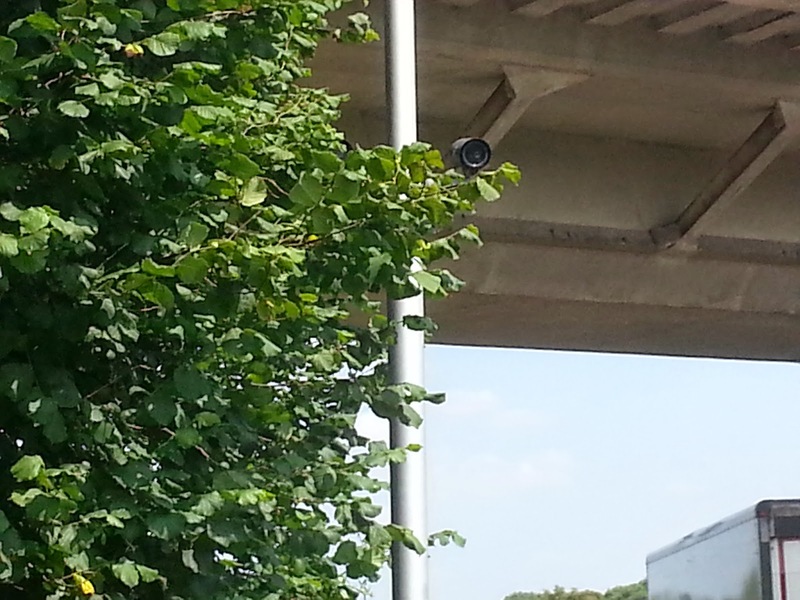 The Prankster has previously blogged that ANPR cameras are inherently flawed because they do not have X-ray capability. They can therefore miss vehicles entering or leaving if the number plate is blocked, resulting in a parking charge being issued for one long stay even if two short stays actually occur. Parking operators therefore need to be sensitive to this, and cancel tickets when this occurs. It looks like CP Plus have tried to address this problem and are trialing cameras with X-Ray vision, capable of seeing through solid objects. Here is part of a parking charge issued using one of the new cameras. 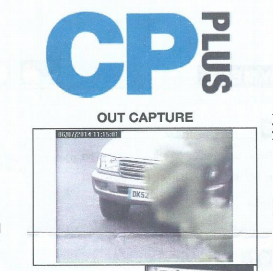 The new camera can apparently see right through the leaf and read the number plate, and so CP Plus issued a charge to the vehicle they thought it belonged to. As it happens there may be a few teething problems with the new technology. The keeper of the car which was charged knew the vehicle was not parked at the times alleged and so has appealed. Anyone else who has received a ticket at Leigh Delamere service station on the M4 may want to send this picture in to POPLA to prove that the set up is flawed and that CP Plus is liable to issue tickets for two stays when only one occurred. Vehicle entry and exits will be missed due to the camera being obscured. The British Parking Association have responded to the Daily Mail articles exposing cowboy parking companies. Pointed out MET Parking use a firm of debt collectors, Roxburghe, ruled unfit to hold a credit licence by the office of fair trading. Pointed out that the managing director of Roxburghe is Gary Osner who sits on the board of the BPA. Pointed out that ParkingEye issued a ticket to a pensioner visiting hospital for a 13 second overstay. Pointed out that Gemini Parking Solutions issued a ticket to a motorist giving birth with complications. Pointed out that PCP Enforcement Agency issued a ticket to a mother taking her child to hospital for violent stomach pains. Rehashed a 2012 quote from Patrick Troy. Stated that a ban on clamping is no substitute for proper regulation. Advised motorists not to ignore Parking Charge Notices. Accused the dailiy mail of being rogues for running an ill-conceived campaign. The Prankster detects the hand of Patrick Troy in this response. Patrick Troy is the master of answering questions he has not been asked, and deflecting concerns from the main issues. This was apparent from his recent appearance on Watchdog. If the response is not from Mr Troy, he has surely trained up his minions well in the art of the non-answer. Perhaps Gary Osner had a hand in the reply. Although Gary Osner is the managing director of Roxburghe, (an unfit company) he is also a board member of the BPA. During the the BPA AGM on 2nd July 2014, Gary Osner was awarded a fellowship of the BPA denoting him as a role model for the profession demonstrating leadership qualities, a significant contribution to the parking profession as well as championing the raising of standards and promoting continuing professional development. Gary Osner now sits on the board of the BPA for 2014/5. Another person awarded a fellowship was Anjina Patel. Anjina recently starred in the TV series 'Parking mad'. You may not have recognised her, because she used the false name Kira Fleck during the programme. The BPA reply misses the point of the Daily Mail articles. There are clearly rogue elements in the parking industry, as evidenced by the examples shown in the articles. The BPA should not be seeing this as an attack on the entire industry - merely a timely highlight of the problems the industry faces, and a wake up call to the BPA. The Daily Mail is not attacking all parking tickets - merely the rogue elements in the parking sector. It is ironic that the BPA stated 'a ban on clamping is no substitute for proper regulation' and then blamed the government for failing to regulate the industry. According to the DVLA, it expects the industry trade associations, of which the BPA is one (the other being the IPC), to regulate its members. That the BPA is obviously failing to do this, as evidenced by the Daily Mail report, is not a reason for the government to introduce more regulation. Rather it is a wake-up call for the BPA to begin policing its own members. Failing that, the DVLA needs to step in and remove the Accredited status from the BPA. The Prankster looks forward to the DVLA requiring the BPA to actually police the sector,. A while back ParkingEye tried to gag The Prankster, sending a series of harassing and threatening letters from Katie Mickleburgh of legal firm Hill Dickinson. You allege [...] that our client issues parking charges for very short overstays and does not allow a five minute grace period. [...] This is simply untrue. The Daily Mail today highlighted the case of a pensioner charged by ParkingEye for an overstay of 13 seconds. This is the shortest overstay the Prankster is aware of, shorter even than the ones he highlighted. The Prankster is now running a sweepstake on whether it is more likely that Hill Dickinson will threaten to sue the Daily Mail for causing "immense damage to our client's reputation", or whether Katie Mickleburgh will write to The Prankster to apologise for being taken in by ParkingEye's lies. Katie's biography page states she is strong in "ensuring matters are dealt with swiftly and efficiently, reaching the most cost effective conclusion". She is therefore no doubt suitably embarrassed with the error-filled letters she wrote to The Prankster, and the subsequent self-inflicted damage to her own reputation. The most cost effective conclusion was of course, to advise her client not to threaten to sue for damages if the facts they are unhappy about are true. Katie will have learned an important lesson - never trust anything ParkingEye say. ParkingEye have regularly told lies to the court, to POPLA, to their customers, to the motoring public and of course, to their own legal representatives. There has been yet another report stating that the DVLA lose money in providing keeper details to parking companies. The report states that there was a shortfall last year or around £900,000 in providing this information, and that while the parking companies were charged £2.50 per request, it actually cost £2.84. In fact, this is a myth, peddled by the DVLA's Department of Misinformation, otherwise know as the Data Sharing Team. Hugh Evans, Corporate Affairs Director of the DVLA, will be smiling into his coffee this morning when his minions report that yet another newspaper, along with the AA and the RAC, have brought into this fiction. In fact, requesting keeper details is a completely automated process for most parking companies. They send an electronic request to the DVLA, which sends the results back. This is all done by computers, and the individual cost is therefore minimal, a fraction of a penny at best. While some requests are done manually, these are minimal. So how do the DVLA bump up the cost? They assign the running cost of the computers, staff costs building costs and all other costs they can think of to the pot. At first glance, this seems fair. After all, shouldn't the cost of, for instance, running the computers be allocated to the PPCs as well? The problem is, the computers and everything else are used for far more than just providing keeper details to parking companies. They are also used for providing keeper details to police and councils, processing car log books, processing MOT, and insurance information, providing statistics to the government, answering FoI request...the list goes on. By incorrectly allocating as much expense as possible to the parking companies the DVLA make them look bad and the DVLA look good. The actual cost allocations are a closely guarded secret, and FoI requests have been rebuffed each time that they attempt to find out the cost modelling that produced these figures. The DVLA employ a specific person, Robert Toft, whose job is to stonewall requests, using every bureaucratic trick in the book to make it difficult to get information out of the DVLA. He is remarkably successful in this role, and must surely be in line for several performance award for the way he deftly frustrates and confuses every attempt to get answers from the DVLA. He is the master of answering a different question to the one which has been asked, dragging out replies to the maximum timescales allowed, and deliberately providing incorrect or misleading information. The Prankster congratulates Hugh Evans in the placement of Robert Toft in his position of gatekeeper for the Department of Misinformation within the DVLA. The actual information released has been minimal. Although most of the requests are electronic there are around 300,000 manual keeper requests a year. However, the DVLA have admitted they have no idea how many of these are made by private parking companies, and it likely that the vast majority of these are not. Since postage and printing are only required for manual requests, we could assign a reasonable cost of £1 pr print and post a reply. Even if all 300,000 requests were made by private parking companies this leaves £3,496,000 for salaries, or around 100 full-time people at an average guesstimated salary of £35,000. This is of course, a ridiculous number just to service private parking requests. IT running costs of £2 million are surprising seeing as wikipediae reports that the database originally cost £5 million to build under contract to EDS in 1996. It is not entirely obvious what 'development' is necessary, since there have been no apparent changes for a while. The figures therefore, simply cannot be trusted. Parking Company UK Parking Solution are claiming an unlikely amount of experience on their website. 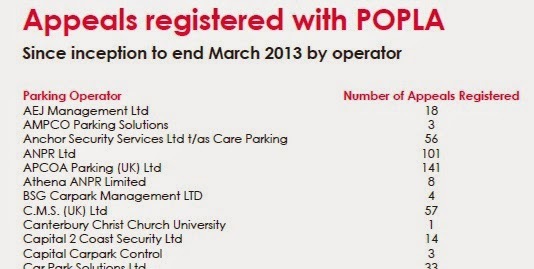 UK Parking Solution is one of the UK's fastest growing car park management company. 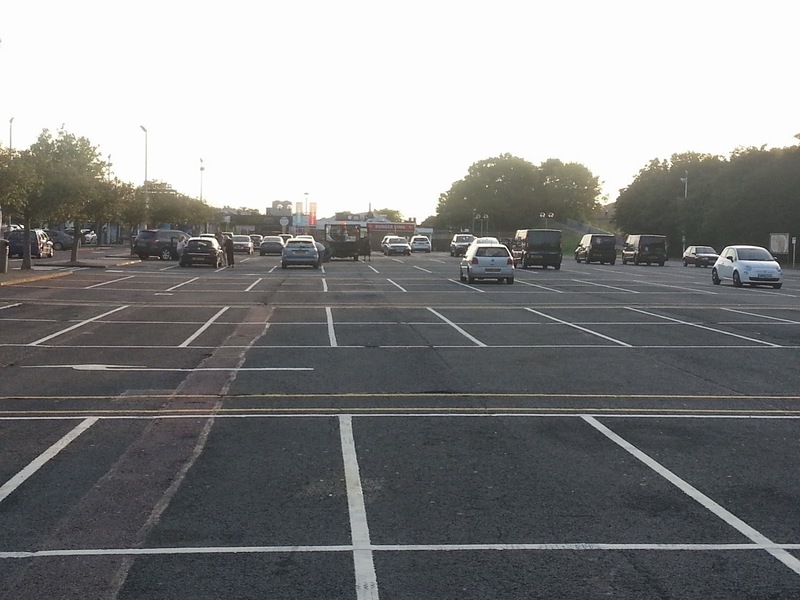 The directors of the company have over 27 years combined experience & extensive knowledge of all aspects of good car park management on private land. This seems a flight of fancy. 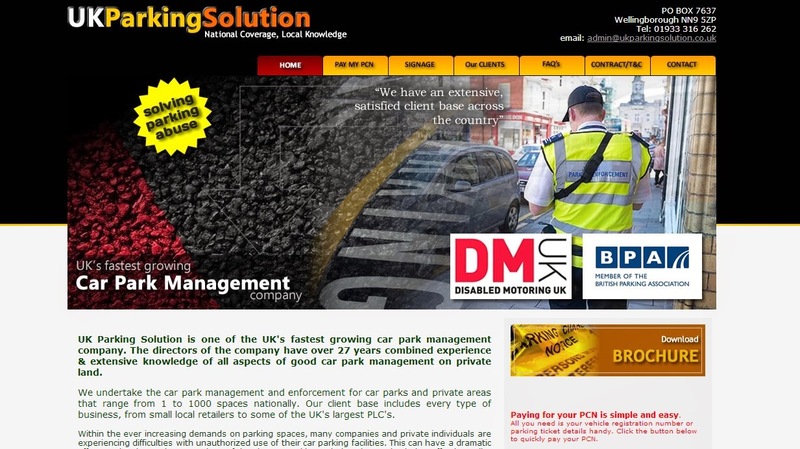 Lower down, the page shows 'UK Parking Solutions is only a trading name of TR Luckins Ltd.
TR Luckins only has one director, Thomas Roy Luckins, who appears to be 21 years old. That leaves the company 6 years shy of experience even if Mr Luckins started issuing tickets in the delivery room. The company did have another director, Thomas's father Graham John Luckins, who is 50. However, Graham only lasted one day before retiring. Telling porkies is sadly par for the course in the parking industry; there is even a name for it - ParkingLies. It seems like judges in Cambridge are building up a reputation for being easily fooled by ParkingEye. In this latest case ParkingEye issued a ticket for a time when the vehicle was not even there. This is a well-know scam of theirs, with plenty of reported instances in The Prankster's blog and papers all over the country. The scam works when vehicles visit twice but the cameras for whatever reason do not read the number plate correctly for each visit. The most common reason is if the plate is obscured by a pedestrian or other vehicle, but can also be due to a misread - number plate recognition is only required to be 85% accurate. Most judges are wise to this scam, and several court cases have been dismissed when ParkingEye tried this on. However, judges in Cambridge are gaining a reputation for being particularly gullible, willing to swallow whatever nonsense ParkingEye spoons down their throat. In this particular case the motorist even had a witness to the fact the vehicle visited twice. However, sadly the first hearing was adjourned. When the case was finally heard, the witness was out of the country and not available. Deputy District Judge Beamish preferred to believe the lies from ParkingEye's paid stooge from LPC Law, rather than the truth from the motorist, and enforced the claim. Just because your witness is not physically available does not mean they cannot be used. Get the witness to write a short witness statement, and submit this as evidence. The statement should contain the name and address of the witness, numbered statements, and be signed and dated as a statement of truth. The Prankster website also contains technical papers you can submit as evidence to show how the ANPR (Automatic Number Plate Recognition) scam works, and lists of cases where judges have recognised the scam and thrown the case out. This report in the Banbury Guardian details how ParkingEye tried to scam a couple out of £100 for parking 6 hours at Morrisons. However, there vehicle was having an MOT at the time, so luckily they were able to prove they were not there, forcing ParkingEye into having to drop the fine. Morrisons report this as due to a technical fault. The Prankster can confirm this was due to ParkingEye's cameras being connected to a source of electricity. Every time this happens, the cameras start to issue a series of fake tickets, trying to scam motorists out of their hard-earned cash. The scam is well-known, and works like this. A vehicle visits a ParkingEye car park and the camera records them arriving once the software recognises the number plate. When the vehicle leaves, if its number plate is obscured, perhaps due to a closely following vehicle or pedestrian, no record exists of its leaving. Sometimes the number plate is not obscured but is misread. Although ANPR (automatic number plate recognition) is billed as infallible, in practice only 85% accuracy is required for the system to be certified as working. If the vehicle visits again later, the system then issues a ticket for the period between first entry and last exit. Although the chances of this happening in any individual case are low, the vast number of cars parking each day mean that this will happen several times a day up and down the country, generating a nice little earner for ParkingEye. The motorists this time were luckily because they had proof they were not there. In general, people do not have such proof. In these situations ParkingEye's department of misinformation swings into action, generating pages of irrelevant information about how good their system is, without actually providing any information at all. ParkingEye have even taken motorists to court on the back of this scam. Although many judges are wise to this and have thrown out the claim, some unfortunately are fooled by ParkingEye's lies and have enforced charges for times when vehicles were not even there. Ironically for Cambridge with its reputation from both university and industry, technical competence does not seem to have spilled over into the judiciary. Sadly, one defendant fell afoul of this in Cambridge County Court recently. His case was initially stayed to await the result of Beavis and Wardley case. Once they stay was lifted ParkingEye submitted a late addition to the documents quoting the judgment of HHJ Moloney in ParkingEye v Beavis and Wardley. The defendant responded well before the hearing date, stating that as he suffered from anxiety he would like the case to be heard on papers without his presence. He provided the court with the copy of HHJ Moloney's leave to appeal, stated that several other cases had been postponed and asked for his case to be postponed once again until after the appeal was heard. Sadly, the judge on the day, DDJ Tattersall, does not appear to know how to look up cases on the court system, stating that as far as the court knew, the case had not been appealed. He refused leave to adjourn and ruled for the claimant. This would have immediately confirmed that the appeal was listed and was due for a hearing between November 2014 and March 2015. It seems that DDJ Tattersall either does not know how to use the internet, or does not know how to use the Ministry of Justice's own system. The Prankster hopes that the judge is signed up for remedial training as soon as possible. ParkingEye cannot remain unscrutinised for their part in proceedings. ParkingEye are of course well aware that the case is being appealed, having received a sealed copy of the appeal almost a month before the hearing date. It is not known whether DDJ Tattershall asked the ParkingEye solicitor whether the case was being appealed. If not, then the competence of the judge must be called into question. If the judge did, then the integrity of the ParkingEye solicitor or the person compiling their brief needs to be closely examined. Several transcripts are available on the Prankster web site, including District Judge Melville-Shreeve's approved judgment in the case of ParkingEye v Collins-Daniel. UKCPS v Gaskell. Useful for UKCPS cases. Also useful comparison with council penalties; fine for parkingon a clearway is £35. Therefore £100 for the far less heinous fault of parking inconsiderably is ostensibly disproportionate. Lordsdale Finance v Bank of Zambia. A case often quoted by ParkingEye, but which actually works against them. This can be used to show that the purpose of the charge is a deterrent as the amount is not comparable with any loss. Cutter v Eagle Star. A ruling that the lanes in a car park are highway, but the spaces are not. CNC v Zhang. A case where commercial justification was not allowed. The Defendant was an individual, but probably not treated as a consumer. "Mr Westgate has also suggested that the agreement to pay US$40,000 plus costs plus damages for loss of business was not a penalty, because it was no more than an agreement that in the event of a breach of any of the terms in paragraphs numbered 1, 2 or 3, the US$40,000 would be repayable on the grounds that there had been a total failure of consideration. I cannot read the agreement in this way. It seems to me to be plain that upon its true construction the agreement provides that in the event of any breach of its terms by Mr Zhang, he should pay compensation to include repayment of the US$40,000. The question then becomes whether that provision was a penalty. For the reasons given by my Lord, I would hold that it was a penalty. The substantial sum of US$40,000 was repayable for any breach, no matter how trivial. It is difficult to see what losses, other than those in relation to loss of business, CMC would itself suffer for any breach of the terms stated in the letter, and the agreement provides for the recovery of those losses in addition to therepayment of the US$40,000." ParkingEye v Collins-Daniel. A well reasoned judgment showing that there was no contract, but even if there was, the contract was ambiguous, but even if it was not the charge of £85 was excessive and clearly a penalty. 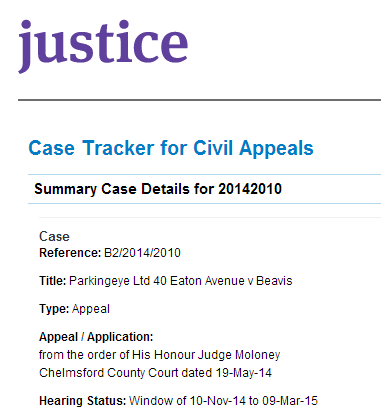 Did ParkingEye deliberately deceive HHJ Moloney in the Cambridge Case? It has been well-reported that HHJ Moloney held a case in Cambridge to decide issues around the large number of ParkingEye claims in his area. Two claims were ruled on, regarding charges issued in Riverside Retail Park. The case was obviously hugely important to ParkingEye, who would have had to change their toxic business practices if they lost. However, since then worrying evidence has emerged to suggest that ParkingEye may have withheld crucial evidence from HHJ Moloney by incorrectly redacting the landowner contract. The Prankster was not part of the defence team for the Cambridge case and so does not know what evidence was provided. However, he has since helped with other defendants at Riverside Retail Park, and has seen the redacted contracts provided in these cases. There would be no obvious reasons to redact different clauses in the HHJ Moloney cases and subsequent cases. 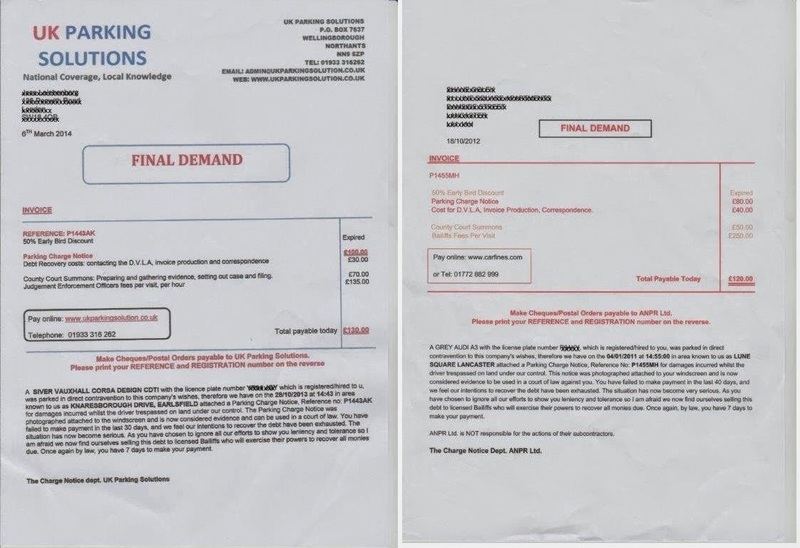 Now let us compare these with an unredacted contract (for a different site), provided by one of ParkingEye's customers from a freedom of information request. As we can see, the redacted clauses are certainly relevant to the case, and therefore should not have been redacted. Although it is possible that the Riverside Retail Park contract had different clauses 3.11 and 8, The Prankster has seen a fair number of unredacted contracts, and in all of them clauses 3.11 and 8 have been substantially the same. Therefore, on the balance or probabilities (which is all that is needed for a small claims case), clauses 3.11 and 8 are likely to be the same. HHJ Moloney found that ParkingEye were the principal, and part of his reasoning is as follows (Prankster's highlights). Clause 3.11 shows that the landlord does pay ParkingEye. ParkingEye gather the parking charges as an agent of the landowner, but then retain them as consideration for services. This gives rise to a further VAT liability, and the landowner pays a further VAT only invoice. This VAT invoice also serves as an account of sums received by ParkingEye, as it is a constant proportion (20%) of them. Clause 8 reveals the existence of a web interface. This interface is usable by the landowner to see an account of charges issued and paid. This is therefore a further account of sums received by ParkingEye. It is clear then, that depending on the contents of the redacted clauses, HHJ Moloney may have been factually misled by ParkingEye. This leads to the following unanswered questions. 1. Why were the clauses redacted in the first place, since they are central to the case? 2. 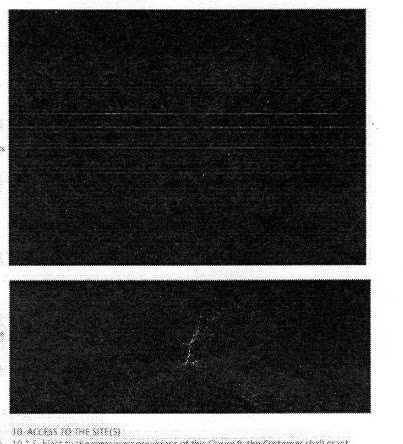 Was this a deliberate or accidental redaction? 3. Who did the redacting, and who approved it? 4. If this was accidental, then if the clauses are similar to the above, why have ParkingEye subsequently tried to mislead the court many times by submitting the judgment as evidence when they know the judgment is formed on incorrect facts? The Prankster strongly believes that ParkingEye should clear up this issue by providing the contents of the redacted clauses. 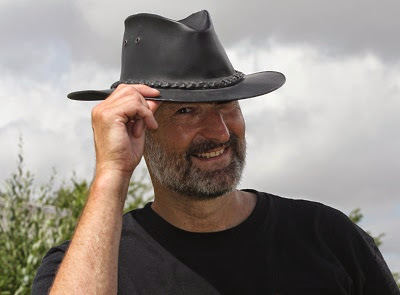 The Prankster also notes that given ParkingEye's history over the past 2 years of repeatedly deceiving the court, then it is reasonable to believe unless ParkingEye prove otherwise, that they are continuing to deliberately deceive the court in continuing cases. The Prankster also notes that ParkingEye have a history of incorrectly redacting contracts provided to the court, and particularly clauses 3.11 and 8. 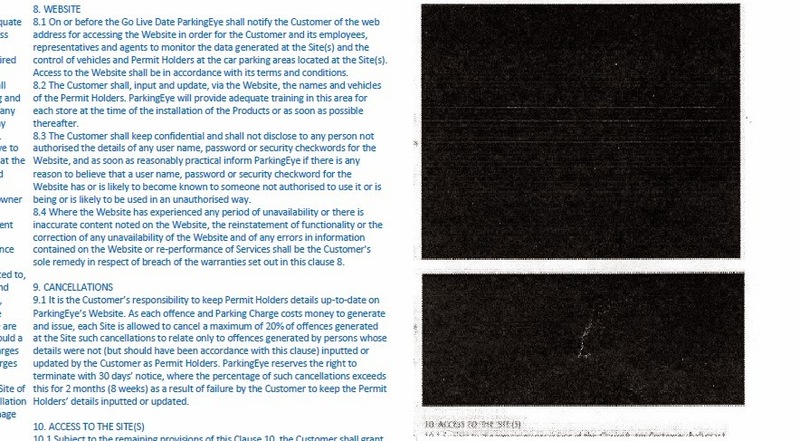 In several cases they have redacted the amount of the Parking charge agreed with the landowner, disguising the fact that the actual charge was larger and therefore there was no evidence it was ever authorised. In several other cases ParkingEye redacted clauses 3.11 and 8, but The Prankster had access to unredacted copies from other sources showing that the hidden contents were substantially as reported in this blog. In a case reported last week ParkingEye's claim was thrown out of court when it was revealed they had ignored all the motorist's letters. The parking charge for overstaying 15 minutes at Family Bargains in December 2012 stated they could appeal by sending store receipts. The motorist first appealed in January 2013, sending copies of receipts to prove they were genuine customers. 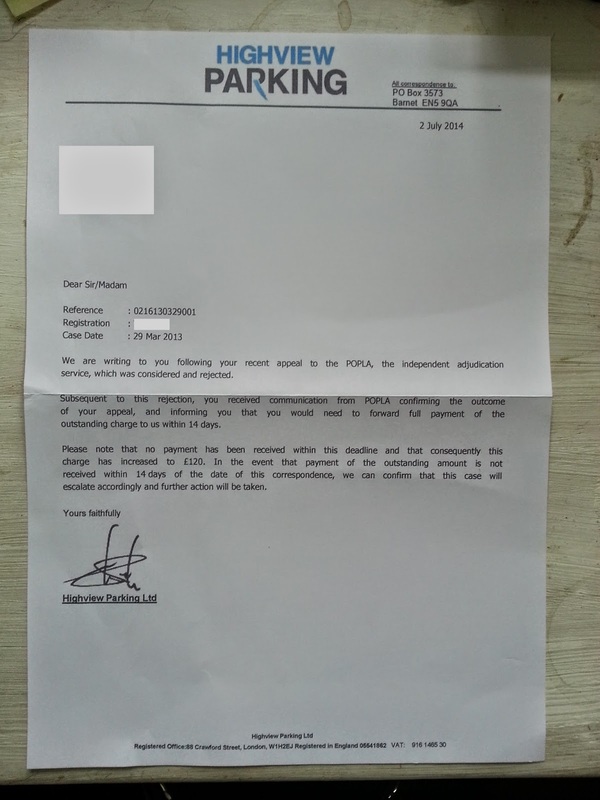 After ParkingEye said they had not received the first letter, the motorist sent the latter again in February 2013. There was then further correspondence by email and phone in July 2013 with ParkingEye still denying receiving proof of using the store. The motorist therefore send a copy of his bank statement. He thought that was the end of the matter, but out of the blue in November 2013 ParkingEye filed a court claim apparently without sending a letter before claim. The motorist emailed ParkingEye who denied receiving any of his letters. District Judge Elizabeth Williscroft stated that although ParkingEye denied receiving correspondence, on the balance of probabilities, it did. She dismissed the claim. After "18 months of torture" for the defendants, the case was finally over. This sadly is not an isolated case. The Prankster has heard from many people who sent letters to ParkingEye, but ParkingEye claim never to receive them. In at least one case, ParkingEye denied receiving a letter despite having signed for it, recorded mail. The converse is also true. ParkingEye claim to have sent letters which are simply never received. The only way to protect yourself in these situations is to be proactive. Whenever you contact ParkingEye, get a free proof of postage. Photograph this and keep it safe. If you have no reply within 14 days, contact ParkingEye again, but also contact the British Parking Association on aos@britishparking.co.uk to inform then that ParkingEye have not replied within the timescale required by the code of practice. This will cover your back and mean that if ParkingEye lie in your case, you have the proof to back your claims up. The first attempt at hearing the ParkingEye v Beavis and Wardley case failed due to a hoax phone call. ParkingEye wanted the appeal to be postponed because their preferred lawyer, Jonathan Kirk QC, was not available. HHJ Moloney declined to adjourn the case, so it was scheduled to go ahead with their back up lawyer David Altaras. On the eve of the case somebody called David Altaras and impersonated Alex Cooke, ParkingEye's witness. He discussed aspects of the case with Mr Altaras that only somebody closely associated with the case could have known. He said that HHJ Moloney was ill, and that the case was postponed. Mr Altaras believed this and therefore did not turn up in court the next day. HHJ Moloney was not best pleased that the hearing would not go ahead. He made it clear that he thought the hoax was made by someone associated with the defence, even though the defence had nothing to gain and were not likely to know aspects of the case that were discussed. Conversely, the claimant had a clear motive for delaying the hearing so that they could get their preferred lawyer to run the case. HHJ Moloney stated that the police had been asked to investigate, and that the responsible person would be facing a charge of contempt of court, which could lead to a stay at Her Majesty's pleasure. Within a few days the police had identified the phone from which the hoax was made and arrested the owner, who apparently worked for Savilles. Savilles are the agent handling the car park concerned. The Prankster has information that a member of Kirk's chambers flew (literally) from London to Manchester and assisted him in police custody. He was later bailed. A little while later, the police arrested a second person, a legally qualified individual, and warned them they might be facing charges of perverting the course of justice, perjury and assisting an offender, with an application from the Crown to remand in custody. Mr Kirk's team is believed to have gone to work aiding this person too. The Prankster has now heard that no charges will be preferred against the two arrested individuals; they are no longer on police bail. The police are apparently not looking for any other suspects. As the police are not looking for any other suspects then the likelihood is that they they thought they arrested the right people in the first place. If this is true, the case will have been dropped either because if failed the evidential test or public interest test. Failing the evidential test does not appear likely. The police will have traced the phone which made the call, and arrested the owner. Failing the public interest test may be more likely. It is possible that HHJ Moloney, after finding that the phone belonged to a person associated with the claimant rather than the defendants decided to change his mind and not press for charges to be brought after all, in case this undermined his judgment. The Prankster has to ask how much it will have cost in terms of barrister's fees and disbursements to fly to Manchester and assist the arrested individual. It is not usual for a barrister to attend a police station. This is a highly unusual situation which would only occur if something massive was at stake, or if somebody had deep pockets, or both. The Parking Prankster's had a worried phone call from his brother this week .Apparently he received a parking charge from CP Plus accusing him of staying in Leigh Delamere services on the M4 overnight. The Prankster knows this site well, having been issued with several tickets from CP Plus in the past. The ANPR system is clearly defective, issuing tickets for one long stay when The Prankster's vehicle made two visits. This is known as a double-dipping error. The Prankster has large numbers of photographs of his vehicle in other places at the time when CP Plus accused it of being in their car park. The photogaphs have embedded time and GPS information, and for good luck, The Prankster also has some video of his car also showing the date and time on Sky TV, and footage of the FA Cup final, which would seem to be conclusive enough proof to the most jaded of disbelievers that the ANPR on this site is prone to double-dipping errors. After investigation, this is also what happened with The Prankster's brother. The driver, who was not his brother, visited the services, which are close to their house, on one day, and again a day later. CP Plus's defective ANPR systems missed out on one or more of the first exit and second entry. Unfortunately for The Prankster's brother, he does not go around photographing and videoing his own vehicle if it is likely that a double dipping error will occur. However, he does have witnesses from his whole family that they were all tucked up safely to sleep that night with the vehicle parked in its usual place outside. The Prankster has therefore advised his brother to appeal on the grounds that two visits occurred. If this fails, The Prankster will be helping with the POPLA appeal, and a stern letter to the landowner, MOTO. In a recent parking dispute the registered keeper wrote to ParkingDirect UK providing them with the name and address of the driver, who was currently living in Australia. This discharged his obligation under the Protection of Freedoms Act 2012, and meant that he was no longer liable for the parking charge. The regulations are quite clear on what is required for an address for service for a driver. As the keeper had provided the address where the driver for the time being resided (in Australia), this satisfied the act. Incidentally, it also satisfied the 'can be conveniently be contacted' criteria; the last time The Prankster checked, all you had to do to contact an address in Australia was to write a letter, address it and pop a stamp on the envelope. What could be more convenient than that? Sadly, ParkingDirect UK did not agree, and tried to twist the law for their own convenience. Thank you for providing me with the hire agreement for the above mentioned vehicle. In line with the Protection of Freedoms Act 2012 you must provide us with a UK serviceable address to transfer liability to the hirer. I am therefore unable to transfer liability to the hirer. The Parking operator seemed to be undergoing some form of brain fart as the vehicle was not being hired out, but being used by the keeper's daughter. Nevertheless, they used behaviour typical of the disreputable end of the parking business, following the lead of companies such as ParkingEye, by lying through their back teeth. Nowhere in the Act does it state the address must be in the UK. ParkingDirect UK rejected the appeal again on the grounds that the '....drivers details must be convenient to contact....'. Apparently the concept of popping a stamp on a correctly addressed envelope is alien to them, as they chose to interpret the act to mean that anything but a UK address was inconvenient to contact. Their reading skills were also sadly retarded because the act also allows the address where 'the driver for the time being resides' to be supplied; they seem to have missed that bit out when considering their reply. The keeper was provided a POPLA code, and decided to make a single point appeal on behalf of the general public to test out POPLA's view on the matter. The PCN clearly states under ‘HOW TO PAY’ that the driver is required to pay the parking charge or the PPC requires the name and ‘service address’ of the driver at the time. In my correspondence I have provided this service address. My daughter currently resides in Australia and she has been passed a copy of this PCN. Australia does not object to the use of private process servers, diplomatic channels or local agents. However, we have made reservations to article 10 of the Hague Convention on the Service Abroad of Judicial and Extrajudicial Documents in Civil or Commercial Matters 1965 (Hague Service Convention) with respect to the use of postal channels for the service of documents. We request that only registered post be used if documents are to be served by post. POPLA duly upheld the appeal, and ordered that the ticket be cancelled. The Operator rejected the Appellant’s representations because they state that by stopping or waiting in a restricted area, the Appellant has breached the terms and conditions of the parking contract.They advise that according to the BPA Code of Practice and Protection of Freedoms Act, the driver’s details must be convenient for them to contact and accordingly, they have requested the Appellant to provide a UK serviceable address where driver can be conveniently contacted and they can transfer liability to the hirer. The onus is on the Operator to support the enforcement of the parking charge notice on balance of probabilities. The Operator’s submissions refer to the Protection of Freedoms Act 2012 and the British Parking Association and advise that the address of the driver has to be a convenient serviceable address, nevertheless, there is no requirement in the Protection of Freedoms Act that the registered keeper has to provide a UK serviceable address. In the present case, the Appellant has provided an Australian serviceable address for the driver of the vehicle which appears to be a valid serviceable address and he has also provided evidence that he was outside the country on the date of event and therefore, he has discharged his liability in relation to this parking charge notice. Accordingly, I allow this appeal. Providing a genuine foreign address is perfectly legitimate. If the driver has two address, one foreign and one in the UK it would seem that as parking companies do not know how to conveniently contact people who live abroad, the foreign address is the most likely one to make them give up. However, do not be tempted to lie and give a fake foreign address. This would be perverting the course of justice, and as Chris Huhne found out, likely to end up needing you to add a third address for a period of some months. One dogged motorist has unearthed a scam MET Parking have been operating for several years on the Chiltern railway. 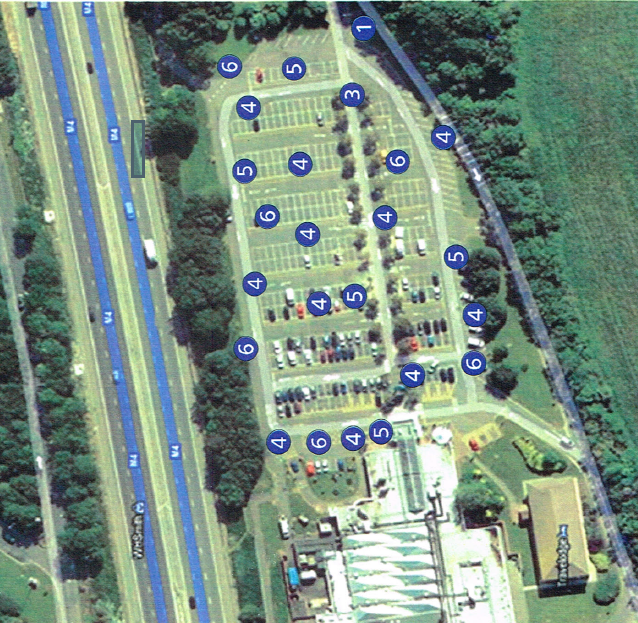 Chiltern Railway car parks are railway property and railway byelaws apply. This means that drivers can be fined for breaching the byelaws, and that the fine is backed by statute. Any legal action must be started within 6 months, and although the maximum fine for breaking byelaws is £2,500, in practice most magistrates impose around £50. This money goes to the crown, and not to MET Parking. The flip side is that the Protection of Freedoms Act (POFA) 2012 schedule 4 does not apply as the car parks are not 'relevant land'; this means that the keeper is not liable - only the driver is (unless the particular byelaws specify the owner may also be liable). Depending on the byelaws then, 'I was not driving' can be an absolute defence, as long as you can prove this, or the judge believes you on the balance of probabilities if the proof is not conclusive. However, MET Parking have been issuing huge numbers of tickets, trying to deceive the motorist that keeper liability applies when it does not. Dishonestly making false representations, such that the keeper is liable under POFA 2012, with the intention of making a financial gain appears to be in contravention of section 2 of the Fraud Act 2006. Any person to whom such a statement has been made should consider reporting MET Parking to the police. One motorist realised something fishy was happening after he had successfully appealed several tickets to the independent appeals service, POPLA. When he tried to appeal a subsequent ticket, MET Parking said they had withdrawn the right to use POPLA as the ticket was issued under the railway byelaws. The motorist pointed out that this was not what the original charge said, and has been fighting to find the true situation ever since. He asked the DVLA to investigate. After a few false starts they finally shifted reluctantly into gear, and found that MET Parking were acting incorrectly by stating keeper liability applied. They found that 1025 tickets had been incorrectly issued at the West Ruislip car park since 1 October 2012, which is when POFA 2012 commenced. Of these, 589 were still outstanding, which MET Parking then cancelled. Another 90 had been cancelled following appeals. However, the remaining 346 had already been paid, and the DVLA refused to make MET Parking refund the motorists. This is just the tip of the iceberg. MET Parking have around 20 car parks on the Chiltern line alone, so the number of incorrectly issued tickets is likely to be tens of thousands, which means that MET parking may have trousered £1,000,000 under false pretences. The DVLA have to share responsibility for this mes up. Although they told the motorist they only knew of this situation in January 2014, this has turned out to be a lie; freedom of information requests showed they were dithering about what to do back in July 2013, and were fully aware what was going on. They continued to pass on keeper information to MET parking without attempting to police the situation at all. Although in the past parking companies have been suspended from access for stating that keeper liability applied when it did not, the DVLA have of late taken a more business oriented approach to these transgressions. They now prefer to keep their snouts in the trough and the money flowing in, whatever the parking companies do. Wheras it seems that the DVLA feels a motorist can be penalised £100 for being 1 minute late or have a wheel an inch over a line, the same does not apply for parking companies. Obtaining money under false pretences is perfectly acceptable as long as the parking company keeps the money rolling in. This cannot be right. The DVLA cannot keep absolving themselves of the responsibility to police the sector; there needs to be a balance, which currently is sadly lacking. Both the BPA Ltd and the DVLA initially tried to bury this complaint and it was only through perseverance that anything happened at all. As the vehicles were not parked in Scotland or Northern Ireland, and as POFA 2012 schedule 4 was not being used, then the data has been obtained in breach of the KADOE contract. Such widescale abuse, which continues to this day, should lead to a suspension to MET Parking for breaching their contract. However, the DVLA appear to be doing nothing. The situation remains unresolved, with thousands of motorists out of pocket. It is a sorry state of affairs that civil servants can have such blatant disregard for the rights of motorists and are prepared to turn a blind eye to dodgy goings-on on an industrial scale. If you have paid a parking ticket to MET Parking at a railway car park between 1 October 2012, and January 2014 then you should write to MET Parking for a refund. If they refuse, then the case officer at the DVLA you need to get in touch with is Liz Symods. If you feel your MP should be made aware what has been going on, then http://findyourmp.parliament.uk/ is a good reference site. If you believe a criminal act has occurred then inform the police. Action must be stared within 6 months. The railway company must bring the action. Action must be started within 6 years. The landowner must bring the action. Depending on the precise nature of the contract between landowner and operator, the operator may also bring the action. ParkingEye win in court. Beavis case misused. ParkingEye v Mr T. 10/07/2013, Cambridge. Beehive Centre Car Park. This is the same court as the one where HHJ Moloney gave the judgment on ParkingEye v Beavis, and it looks like the judges here have decided to follow the Moloney party line. Mr Taylor for the claimant attempted to misrepresent the situation regarding the situation on standing, arguing that it was done and dusted following the Moloney decision, despite the clear warnings given by HHJ Moloney in his judgment. He made much of the fact that HHJ Moloney had only given permission to appeal on the penalty point, implying that the formation charges had been put to bed. Sadly the judge bought it, despite the warning given by HHJ Moloney that his judgment only applied to similar cases, and despite the fact that the Beavis decision on standing was for one of the few car parks where ParkingEye pay a fee and are apparently the principal. In most other car parks ParkingEye act as agent, and there was no evidence this was not the case in the Beehive car park. Mystifyingly, the judge found the facts of this case were substantially the same as the Beavis case, despite the glaringly obvious differences. This shows the struggle that a unrepresented defendant has when pitted against a wily and experienced advocate happy to paint a false picture to the court. He also found that Mr Taylor's claim that the charge was a genuine pre-estimate of loss was unsustainable, but that applying Moloney's judgment it was commercially justified. Mr T asked to stay the case pending the appeal. The judge said that he was aware of the appeal but that as Mr T had not made the application earlier it would be unfair to the Claimant to stay the case. This disregards the obvious point that the Claimant ambushed the defendant by only submitting the Moloney judgment late in proceedings, giving the defendant little time to prepare. Ambushing defendants in this way is a typical ParkingEye tactic. ParkingEye were awarded £175, which included £50 solicitors costs for lodging the claim. Mr T disputed the £50 charge, pointing out that HHJ Moloney did not award solicitors costs. Despite following Moloney in all other aspects, the judge decided to disregard him here and awarded the £50. Although claimants are allowed to claim up to £50 solicitors costs, ParkingEye do not actually incur these. Their claims are computer generated in such volumes that their solicitor, Rachel Ledson, would only have a few minutes to glance at each one, if in fact she bothers at all. ParkingEye's costs are also already taken care of in the parking charge, so this is effectively charging twice. As usual the victory was a pyrrhic one for ParkingEye, spending an estimated £200 on Mr Taylor to recover £175, but this is small consolation for the motorist rail-roaded by the legal system. This case shows it is vitally important to pre-warn the court that ParkingEye are misrepresenting the true situation, and that the case should be stayed until after the Beavis appeal is heard. If you do lose, you should ask the judge for leave to appeal because the Beavis case was also granted leave to appeal. The judge will find it hard to refuse on these grounds. You don't have to actually appeal - you have 21 days to make your mind up. Depending on the timing of the Beavis appeal you can then either decide to appeal or not. If your case is likely to be held in Cambridge, it may also be worth negotiating a settlement. ParkingEye will usually settle for between £50 and £100, since they always lose money if a case goes to a court hearing. ParkingEye v Mr G, 11/07/2014, Norwich. ParkingEye's case depended extensively on ParkingEye v Beavis, but the judge was aware that ParkingEye were misrepresenting the situation. Although ParkingEye did not mention the case was being appealed the judge was fully appraised of the true situation and therefore stayed the case until the appeal result was over. ParkingEye v Ms X, 10/07/2014, Birmingham. Judge ruled defendant was a genuine customer. This case concerned the car park at the Marsdon Pub at Merry Hill. The car park is a pay and display, with a refund if you spend at least £2 in the pub. Ms X attended a Christmas party at the pub. The judge therefore ruled that she was a genuine customer. As she had spent more than £2 no loss occurred to the landowner. The defendant used The Prankster website and guides to prepare for the case. A3QZ1305 UKCPS v Ms X (02/07/2014 Sheffield) Centertainment car park, Sheffield. Judge Birkby ruled there was no contract as the signage was deficient. This case was also reported on moneysavingexpert. Being well prepared can be the difference between winning and losing a court claim. 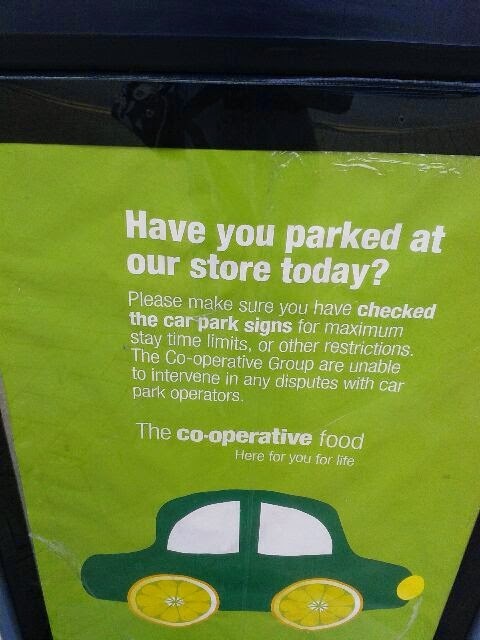 In this case the parking company scored a classic own goal by quoting from an inappropriate case. Before going to court Ms X read several books on Contracts so she could clearly state what a contract was and how she could not have made one. 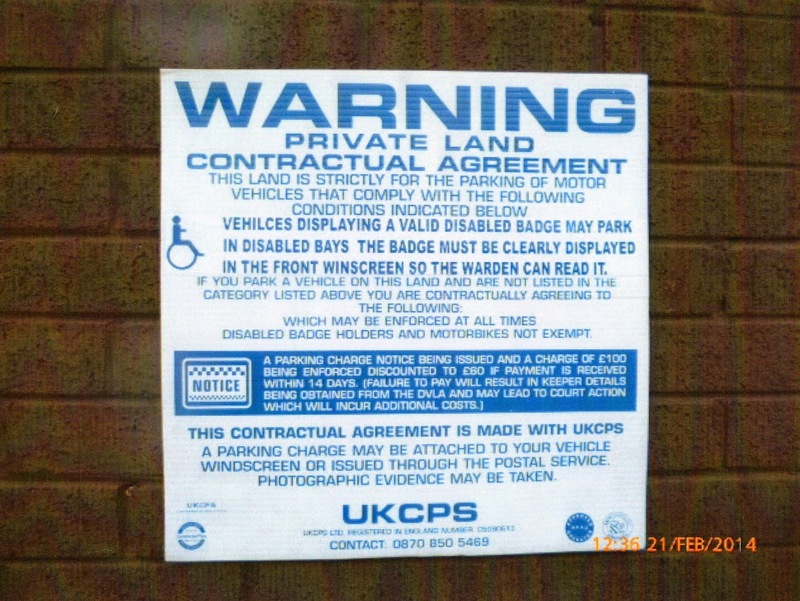 During the hearing Stephen Hall from UKCPS quoted Vine v London Borough of Waltham Forest  EWCA Civ 106, suggesting that not reading a sign will not stop a contract from occurring. In reality, the court of appeal judgement found exactly the opposite and that a contract may not be formed if for instance the signage was not sufficiently prominent as to be visible from the parking spot, or there was a reason that the driver could not read the signage, such as being ill. The defendant therefore pointed out the referred to case was actually won by the motorist. Judge Birkby, on hearing this, decided to read the judgment and sent both parties out for half an hour. On returning, he dismissed the claim, deeming that no contract had occurred because the signs had too many words on them to make them easy to read. 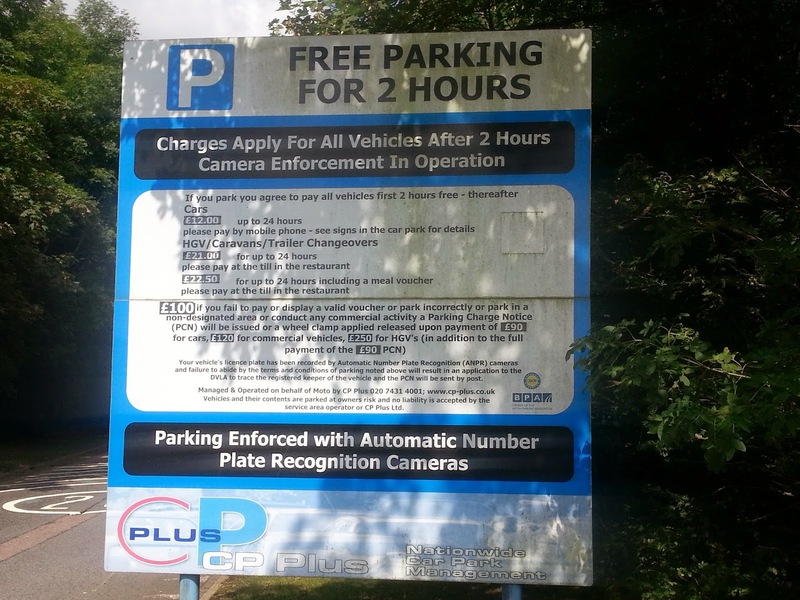 He ordered UKCPS to put up signs which made it clear that although it was a free car park, penalties could apply. Although Mr Hall informed the judge the signs have already been changed, the defendant subsequently visited the site and found them still lacking in clarity. Stephen Hall asked for a gagging condition on paying the defendant's expenses, but Judge Birkby informed him the case was in the public domain. Despite being billed as 'recent', the current list of cases is sadly mostly well out of date, with 3 cases from 2010, 2 from 2011, 3 from 2012, 9 from 2013 and only 4 from 2014 (the latest being February), one of which was a case where the defendant did not appear in court. 3 cases failed to download and so could not even be read. The rest of their website is equally misleading. Although they claim a high success rate at POPLA, in reality they won 28% in 2013 and 44% in 2014. Do not accidentally visit ukcps.co.uk. That is the UK Coloured Pencil Society. Will AS Parking give out their first POPLA code? 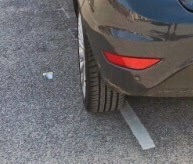 This thread on pepipoo details a motorist's attempt to appeal to AS Parking against a charge issued for having a wheel over the white line. So far, the appeal has been rejected, but no POPLA code has been forthcoming. 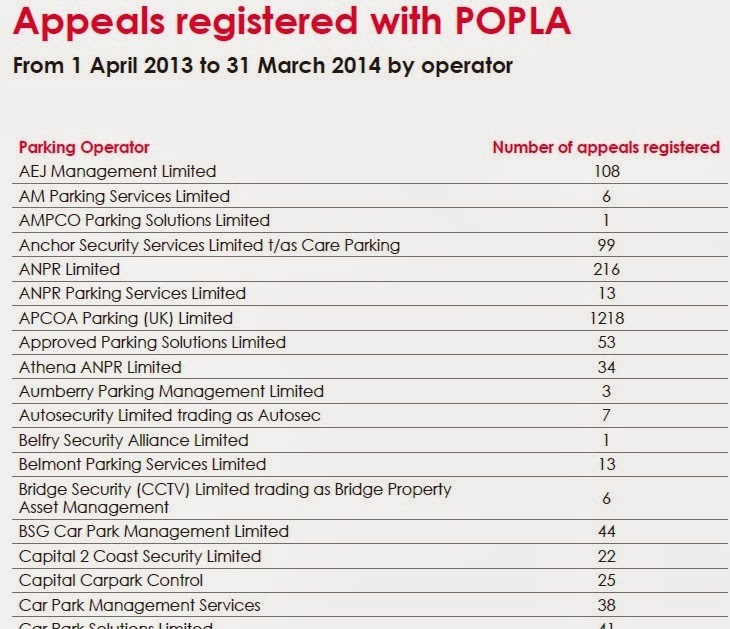 POPLA's 2013 annual report showed that no AS Parking appeals made it to POPLA between inception and end March 2013. Similarly POPLA's 2014 annual report showed that no AS Parking appeals made it to POPLA between 1 April 2013 and 31 March 2014. Will this motorist be the first to chisel a POPLA code out of Kevin McManus, director of AS Parking? Kevin's dislike of POPLA has been well documented on the Linkedin website, although it is not immediately what his objections are seeing as he has apparently never yet had a case go to POPLA. The Prankster checked AS Parking's web site and also the POPLA annual reports to see if there were possibly any other trading names used which could account for any POPLA appeals, but none were apparent. Edit: Update. ParkingAppealsService confirm they already have some POPLA codes from AS Parking, so this motorist will not be the first. The Prankster wonders if the POPLA Annual Report has accidentally missed out AS Parking. The Prankster has received information from ANPR Ltd stating that a former employee has been reported to the police for taking software, bank and credit card statements, and his franchise agreement from the offices of ANPR Ltd. The employee has been reported to Preston police and there is a crime reference associated. The employee has since joined UKPS, where he is alleged to have shown off the stolen documents to other employees. He has also taken several of his old accounts over to UKPS, which may or may not be in violation of the franchise agreement. 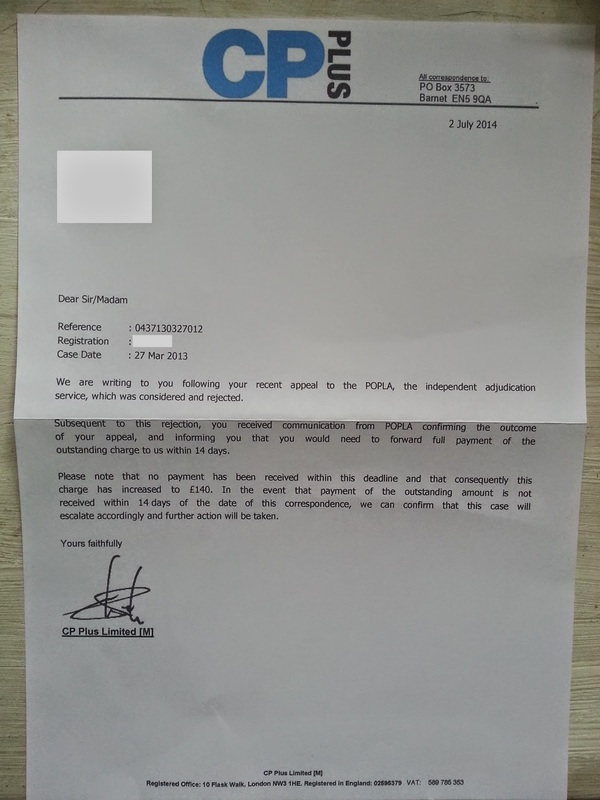 Unlike ANPR Ltd, UKPS apparently offer cash kick-backs to the land owner for paid tickets. The employee was a franchisee of ANPR Ltd, operating a number of car parks. In January this year he resigned and the same day the franchise agreement was noticed to be missing from the office filing cabinet. 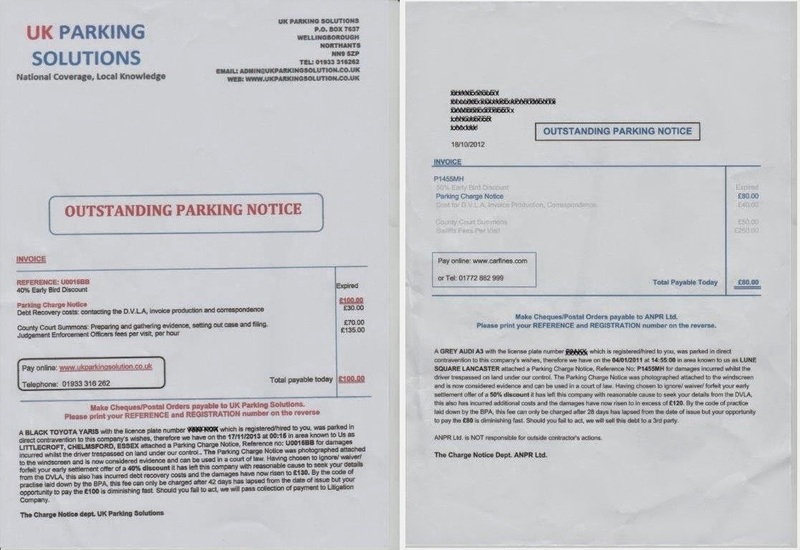 The parking charge notices issued by UKPS are extremely similar to those issued by ANPR Ltd; so similar, that the stolen software may have been used to create them. The Prankster asked if the employee would like to put his side of events, but received a series of intriguing emails instead. I'm sure an intelligent man like yourself will not be the one to fire our Trev's bullets which are tinged with distorted facts manifested in his head. Fueled by a narcissistic personality disorder of the nth degree.Lets face it to turn to a nemesis figure reeks of desperation. This email also contained part of The Spider and The Fly poem. No, powder will be kept dry! Will be nice seeing poacher and gamekeeper in bed together. The Prankster wonders if tickets issued by UKPS are enforceable if they have been generated using stolen software or are on sites 'poached' in violation of a franchise agreement. ParkingTicketAppeals service hits £100,000 savings for motorists. The ParkingTicketAppeals service has hit an important milestone, saving over £100,000 for motorists. For a fixed fee of £16, the service takes the worry away from the busy or confused motorist. Subject to a few limitations, such as being in time to appeal, once you sign up to the service they will appeal on your behalf, and if the appeal is not upheld will pay the ticket for you. Around half of the appeals are against ParkingEye. The 500th ParkingEye appeal was processed today, saving motorists between £35,000 and £50,000 on the full ticket price (ParkingEye tickets range between £70 and £100). It is not all doom and gloom for ParkingEye either; as they uphold a substantial number of appeals before the POPLA stage they have saved themselves almost £7,000 on POPLA fees. 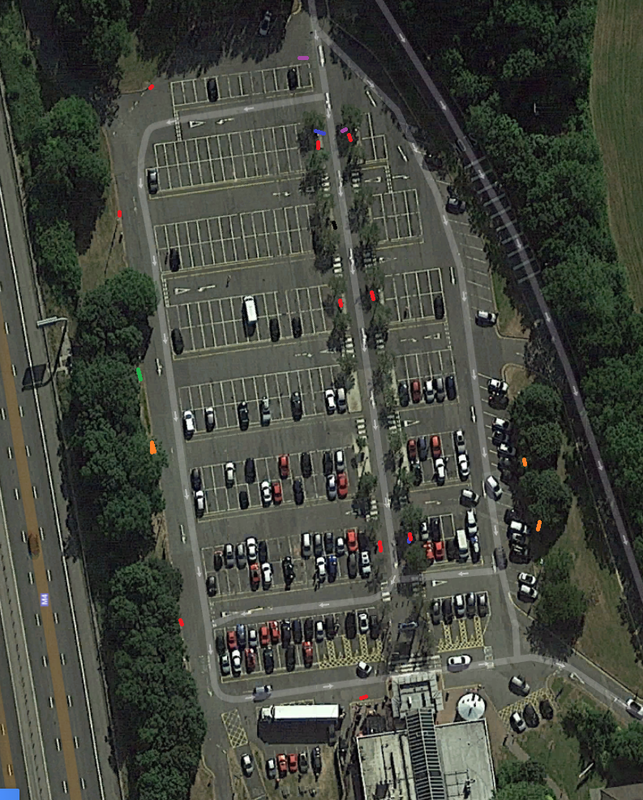 Other operators are not so canny, with Excel parking so far turning down all appeals. According to their own figures, it costs Excel £66 to produce a POPLA evidence pack, so it looks very much as if they have decided to stick their head in the sand and ignore the mounting costs. Some operators are upholding all appeals and saving themselves substantial amounts of money. The concept of the appeals service has been endorsed both by the BPA and POPLA, with POPLA's chief adjudicator Henry Greenslade making a special mention in his annual report. There are websites that now offer to make an appeal, and even original representations to the operator, in respect of parking charge notices, again for a fee. It should be remembered that, as I refer to elsewhere, POPLA does not charge the motorist to appeal. The service offered by such websites may also include payment or part payment, should the parking charge notice be upheld. At POPLA, as in any fair appellate system, appellants can certainly get someone to act on their behalf. However, they must provide clear authority for them to so do and the motorist should always remember that it is ultimately their responsibility to ensure a charge due is paid. Any liability in law would remain with the appellant, rather than the provider of such a service. It would not seem appropriate for such an appeal making service to be offered by an operator who is at the same time a member of the BPA Approved Operator Scheme. The British Parking Association discussed the matter under any other business in their 10 April 2014 AOS Board Meeting. Graham Brown and Gary Brierly raised the matter. This was discussed at great length and concluded that people have a right to be represented in such circumstances as occurs in other judicial proceedings. To avail yourself of the service, click here. The Prankster has previously lost a few POPLA cases while trying single point defenses out for the benefit of other motorists. These were all double dipping cases where flaws in the operators' ANPR technology meant they recorded one long stay rather than two short stays. ...until today, 9 months later, when The Prankster got a nice surprise in his mailbox. Both CP Plus and Highview Parking use the same third party, Ranger Services, to process their charges for them, which is why the two letters are almost identical, the signatures are the same and the address to reply to is the same. CP Plus do appear to have negotiated a somewhat worse deal with Ranger Services than Highview; their charge has increased from £100 to £140, while Highview have gone from £100 to £120. Perhaps CP Plus should ask Ranger Services why they charge them £40 to send a letter, while Highview only get charged £20. In any case, it will put them on the spot when they try and justify their pre-estimate of loss calculations as to why the identical services company is charging half the price to their competitors for exactly the same service. The Prankster has sent a stiff rebuttal, reminding them the vehicle was not parked in the car park and so there was no breach of contract. He has invited them to cancel the charge or issue a letter before claim compliant with practice directions. A0QZ7658 UKCPS v Mr X (04/07/2014 Bradford) Claim dismissed. Signage was gibberish. In a hearing this Friday UKCPS scarcely lasted longer than 5 minutes. The judge criticised their lengthy and rambling claim; it was a scattergun of arguments against possible reasons the defence may raise, most of which had nothing to do with the actual defence submitted . He explained that the ParkingEye v Beavis case quoted by the Claimant had gone to appeal. Steve Hall, acting for the claimant, tried to correct the judge on this point, but the judge was having none of it. The judge then referred to the signage as gibberish and dismissed the claim. Mr X, the defendant, did not have to say a word. Afterwards Steve Hall tried to laugh off the loss, saying you win some and lose some and telling Mr X he was lucky as the signage has now been changed. However, it appears from this post on moneysavingexpert regarding a different case that UKCPS are somewhat experts on losing cases due to bad signage. Last Wednesday I was taken to court by UKCPS for not paying £100 fine, for parking in the wrong place in a free car park. I hadn't paid the fine (the amount of which kept altering) because I felt very strongly that it was unreasonable to demand so much money when I was not aware of having done anything wrong. 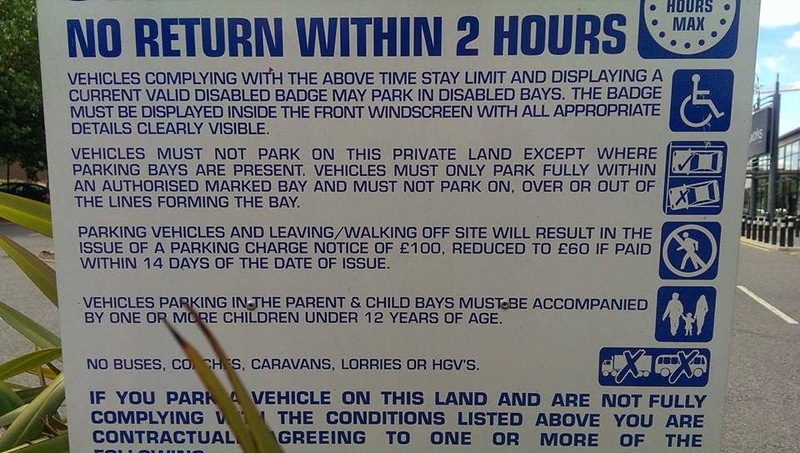 The judge found that the signs, although large had too much information on them to make them easy to read and ordered that signs should be put up which made it clear that although it was a free car park, penalties could apply. The UKPCS man said that this had already been done, although after I had got my parking ticket. The Prankster helped Mr X with his defence, pointing out the misspellings in the signage, and also that according to the terms and conditions the only people allowed to park in the entire car park are disabled drivers parking in a disabled bay with a badge showing. Non-disabled motorists are not allowed to park at all, anywhere in the car park. The signage also displayed terms conflicting with other signs in the car park. Lastly, the fact that a charge would be applied was hidden in the small print, which is not allowed by the Unfair Terms in Consumer Contracts Regulations 1999.